Do you need help finding a job? Do you need funding for vocational training? Are you between the ages of 16 and 24? Have you graduated from high school, or dropped out of school? 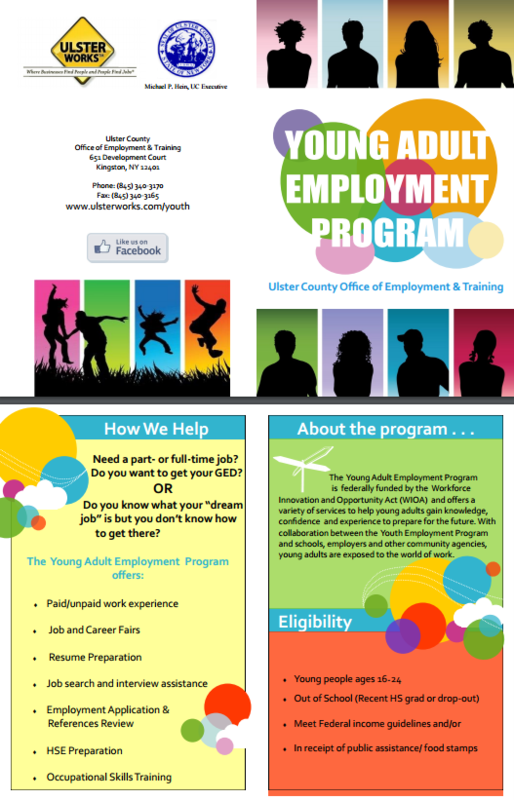 You may be eligible for the Young Adult Employment Program. Please call us at 845-340-3170 to find out what we can do for you! Youth services include a year-round employment program, a summer employment program, and job fairs for youth. Face barriers to finding full-time employment.